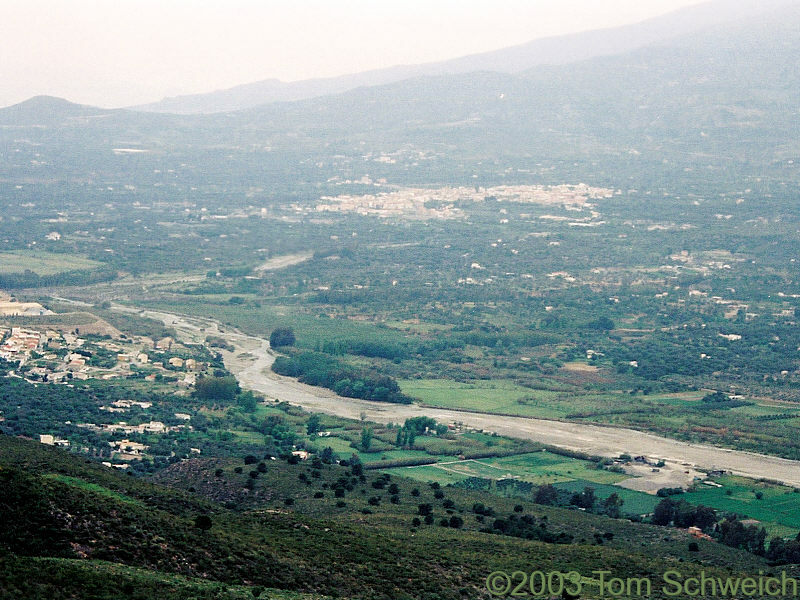 Photo: Rio Guadalfeo with Orgiva in background. Eastern Mojave Vegetation Rio Guadalfeo with Orgiva in background. The town on the left is Las Tablones, where there is still an active flourite mine. I took this photograph to show the very broad shallow river bed of the Guadalfeo. The river bed is almost braided, but not quite. Nevertheless, the broad gravel bed indicates that the sediment load exceeds the carrying capacity of the river, at least during periods of normal flow. Alpujarra, Andalucia, Spain: Valle de Lecrín.